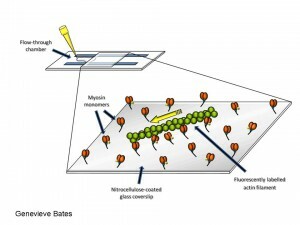 Consists in observing fluorescently labeled actin filaments as they get propelled by myosin molecules adhered randomly to a nitrocellulose-coated coverslip. 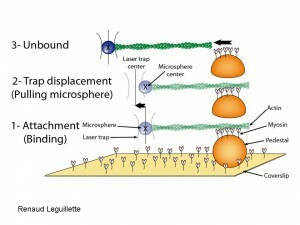 The velocity of actin filament propulsion is determined in presence of MgATP. 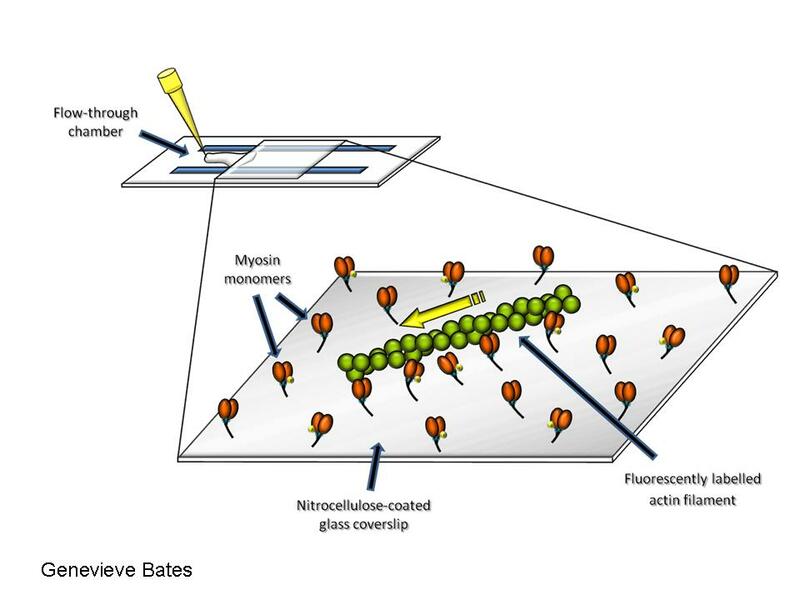 (TRITC-labeled skeletal muscle actin filaments propelled by smooth muscle myosin). Fluorescently labeled actin filaments propelled by smooth muscle myosin purified from chicken gizzard.